With age come the wrinkled, saggy, loose and thinner skin. This is the result of loss of collagen and fat from under the skin resulting in loss of volume. The lost volume can be replaced with dermal fillers restoring the formal youthful appearance and look. Dermal filler is a substance which is made of gel, which is injected beneath the skin to restore lost volume, smooth lines and soften creases, or enhance facial contours. They come in various thicknesses and these products need to be injected into the dermis resulting in plumping out fine to deep lines and wrinkles. 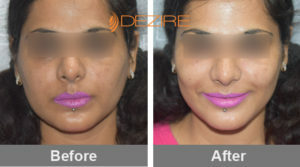 Here at Dezire clinic, Delhi we use FDA approved dermal fillers that come pre-filled into syringes from well known brands like Allergan, Juvederm, Voluma. How can dermal fillers help in enhancing my appearance? At Dezire clinic we use FDA approved filler products from companies like Juvederm, Allergan, Voluma. In general, fillers are categorized by the substance they are made from. Hyaluronic acid is a naturally occurring substance that is already found in your skin. It helps keep skin plump and hydrated. HA fillers have a soft gel-like consistency. The results are temporary, lasting 6 to 12 months or longer before the body gradually and naturally absorbs the particles. Most of the times, HA fillers are infused with lidocaine to help minimize discomfort during and after treatment. Calcium hydroxylapatite is another substance naturally occurring in our bones. When used in a filler, the calcium particles are nearly microscopic and suspended in a smooth gel. The CaHA fillers have a thicker consistency than that of a hyaluronic acid filler and typically last longer as well, about 12 months for most patients. Calcium hydroxylapatite can also stimulate natural collagen production, hence it is used for deeper lines and wrinkles. Poly-L-lactic acid has been used for many years in medical devices, such as dissolvable stitches. Poly-L-lactic acid products are technically classified as “collagen stimulators,” as their main mechanism to smooth fine lines is by helping your skin rebuild natural collagen—the filler gel itself dissipates a few days after treatment. Poly-L-lactic acid is typically used to treat deeper facial wrinkles, and results can last more than 2 years. Polymethylmethacrylate (PMMA) is a synthetic, biocompatible substance that has been used in medicine for much of the last century. PMMA fillers will also contain collagen. Autologous fat injections are the only injectable filler treatment that requires surgery, but results can last for many years. Your own fat is harvested from another area (autologous means “from the same person”), typically using liposuction. The fat is then purified and injected into the face to help restore volume to the cheeks, temples, lower eyelids, or other areas. Fat injections require specialized training to perform safely and achieve great results, and should only be performed by an experienced, board certified cosmetic surgeon. Just before the actual treatment, the area will be cleaned, and you may be given a topical anesthetic to numb the area prior to injection. Many dermal fillers contain lidocaine, a mild anesthetic, which is intended to help minimize discomfort during and after your treatment. Dr Prashant Yadav will then inject a precise amount of filler strategically beneath the skin. Results are evident immediately after receiving filler injections depending on the product and the areas treated. You will be able to go back to your normal activities right after treatment, but it might be suggested to take the day off from exercise or other strenuous activity. 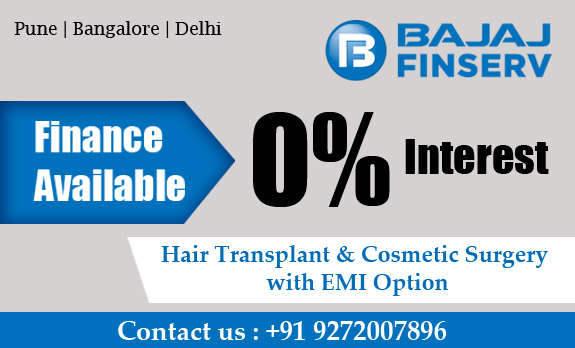 Facial fat grafting is a surgical procedure and follows a different treatment protocol. Typically, fat grafting is performed as an outpatient procedure, using general anesthesia or local anesthesia with sedation. Up to 2 weeks of downtime may be required, depending on the extent of liposuction performed. When using dermal fillers different combinations of types of fillers are used depending on the area treated, and the depth of wrinkles or scars or sagginess of the skin to achieve the best results. The treatment times can vary from around 30 minutes to an hour, and recovery time can be from a few hours to a few days. It depends upon the area treated and the type of filler used. Most people can go straight back to work after treatment with dermal fillers. There is no downtime required with dermal fillers. You can resume most activities right away. Initial swelling, numbness or bruising can be alleviated with topical icing and will improve within a matter of hours or just a few days. When your own fat (autologous fat) is used as a dermal filler, the healing process is longer and may take a few weeks. The results from dermal fillers last somewhere from 6 months to 2 years depending upon the type of fillers used. The effects can last up to five years, if semi- permanent or permanent fillers are used. Cost for dermal fillers depends upon the type of fillers used and the area to be treated. Please make an appointment with Dezire clinic Delhi. On your visit our expert dermatologists will discuss the type of filler suitable for you and give you the exact cost of your treatment.